You learned about Hitler and Nazi Germany in Third Year (just as you did Mussolini), and now you'll revisit Hitler's Germany for a closer look. How exactly did he achieve power? What helped him? What hindered him? What did his policies mean for Germany, and for the world? You will look more closely at the laws he passed and the actions he took when in power. His foreign policy will be examined in a later section. 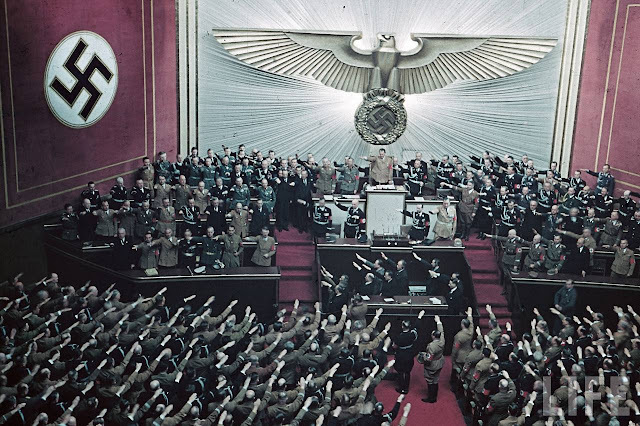 This section contains the second Case Study for this topic, the Nuremberg Rallies, footage of which is usually shown in a TV show or documentary that wants to mention Hitler. There are also three key personalities: Propaganda minister Josef Goebbels, film-maker Leni Riefenstahl, and of course Hitler himself. The Weimar Republic, Dawes Plan, Inflation and Great Depression, Mein Kampf and Propaganda. 1933 election, Enabling Act, Night of the Long Knives, Goebbels and Propaganda, Education and the Hitler Youth. Unemployment, Conscription, Autarky, Autobahns, Volkswagen, "Beauty and Strength through Joy". Reichskirche (Protestant), Concordat (Catholic), Broken promises, Propaganda, "Mit Brennender Sorge (With Burning Rage)". 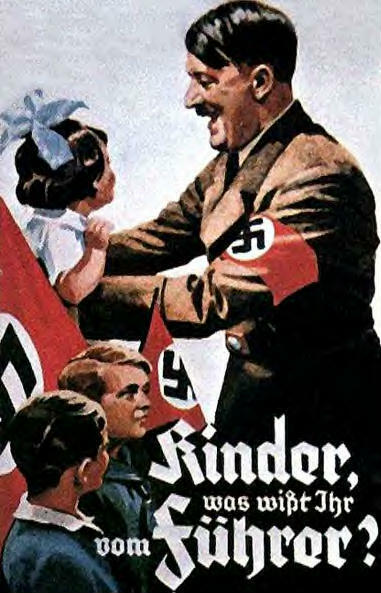 "Herrenvolk", Anti-Semitic Propaganda, Nuremberg Laws, Kristallnacht, the Final Solution. Inflation, Depression, Totalitarianism, Propaganda, Cult of Personality, Reichskirche, Herrenvolk, Anti-Semitism, Holocaust. "Children, what do you know of the Fuhrer?" 2015: What were the social and economic problems facing Germany, 1920-1939, and how were they dealt with? 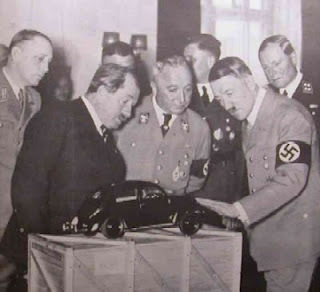 2012: How did Anti-Semitism and the Holocaust affect Europe, 1920 - 1945? 2011: What were the main characteristics of the Nazi state in Germany, 1933 - 1939? 2010: What were the main developments in church-state relations under Hitler and Mussolini? 2009: How did dictators use propaganda and/or terror to maintain their power? Germany? Argue your case, referring to both countries. 2008: What contribution did Josef Goebbels and/or Leni Riefenstahl make to Nazi propaganda? 2007: What were the main characteristics of the Nazi state in Germany, 1933 - 1939?